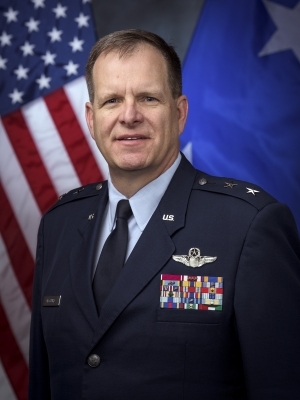 Major General Michael T. McGuire is The Adjutant General, Arizona and concurrently serves as the Director of the Arizona Department of Emergency and Military Affairs. He is responsible for managing the day-to-day activities of Arizona’s Army and Air National Guard, Joint Programs, and the Division of Emergency Management. He leads an 8,000 member department, of which 2,400 are full-time federal military and civilian personnel and 600 are full-time state employees.